Rooting has a long and storied history in the Android community. 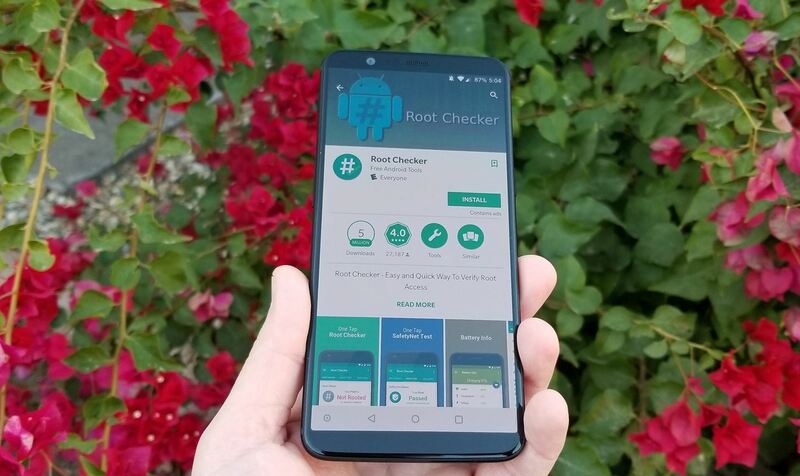 As OEMs push out more refined software, the need to root has diminished — still, the number of incredible things you can do with a rooted phone is enough to tempt many enthusiasts. Luckily, some manufacturers are still putting out root-friendly devices. After hours of research, we settled on five killer devices for rooting and modding. The OnePlus 5T, Moto G5 Plus, first-gen Pixel, and Huawei Mate 9 are all bootloader-unlockable and feature killer specs. If you're looking for the best of the best in this category, the OnePlus 5T outdoes the others in several areas. The 5T has an awesome starting price, Magisk support, and a very active development community for custom ROMs and kernels. Of our five finalist phones, the OnePlus 5T has the best starting price relative to the hardware specs on offer. While the Moto G5 Plus had the absolute lowest price of the group at $229, the hardware included is more modest. At $499, the OnePlus 5T offers a Snapdragon 835, 6GB of RAM, and 64GB of storage. In comparison to the other devices in our list, you will pay less and get more from the 5T. This is an important aspect with rooting — you wouldn't want to brick a $1,000 phone, would you? The first step to root and custom ROM bliss is unlocking your phone's bootloader. Many manufacturers make this process difficult or outright impossible. If you want to unlock your bootloader, the most ideal and friendly method is to use Fastboot. Not only does the OnePlus 5T support this method, it also does not void your warranty when you unlock the bootloader. In addition to the Fastboot support for unlocking the bootloader, the tamper fuse can be reset, essentially restoring your phone to stock if you desire. TWRP recovery is perhaps the single most important tool when it comes to modifying an Android device. While some phones are officially supported, others may only have ported versions of TWRP available to them, which generally work well, but may have some bugs. The OnePlus 5T is officially supported for TWRP, making it easy to root and modify your device. If you want to root without tripping SafetyNet, your best option is Magisk. Not only does the popular mod give you systemless root, but it also provides a framework that lets you install modules and perform system-level mods. The OnePlus 5T has full Magisk support, so you can enjoy all of the benefits of this innovative platform. Having a rooted device isn't much fun if no one is making useful mods for it. OnePlus continues to have one of the most active development communities in the Android space, and the 5T already has several open development projects over on XDA — an encouraging sign for what's to come. In addition, there are already a number of custom ROMs and custom kernels available for the OnePlus 5 that should be easily ported to the 5T. With such a strong development community, the OnePlus 5T is very tempting if you plan to spend significant time modifying your device. If you like to take control of your device in every way possible, the OnePlus 5T is the phone for you. From unlocking the bootloader, rooting with Magisk, and flashing a custom ROM or kernel, the 5T has you covered at each step. Perhaps you want to see a full breakdown of the best phones for root, we have you covered there too. The OnePlus 5T beat out the Pixel, Moto G5 Plus, Huawei Mate 9, and LG G6 for the top spot on our list. Let us know in the comments what type of modifications you always need on your Android device! I'd like to see a tutorial about flashing custom ROMs on this device.